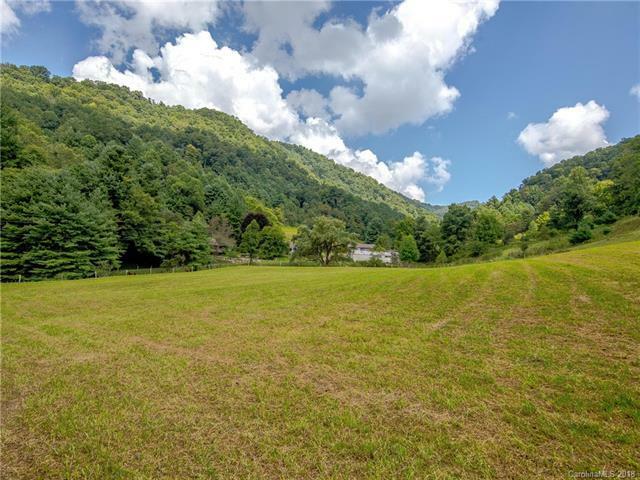 Briar Rose Farm: +-98 acres of unrestricted mountain paradise located only 28 miles from Downtown Asheville. Property features include approx 18 acres in pastures (mostly fenced), 3 houses, 2 barns, workshop, multiple outbuildings (electricity and water to nearly every one), greenhouse, gravel and soil roadbeds, mature hardwood trees, springs, ATV/hiking trail to the private ridge line, and breathtaking mountain views. Houses include 1) eccentric cabin with 1/1 floorplan and loft area, 2) 3/1 farmhouse in need of renovations, 3) 1/1 park model log cabin with private setting. 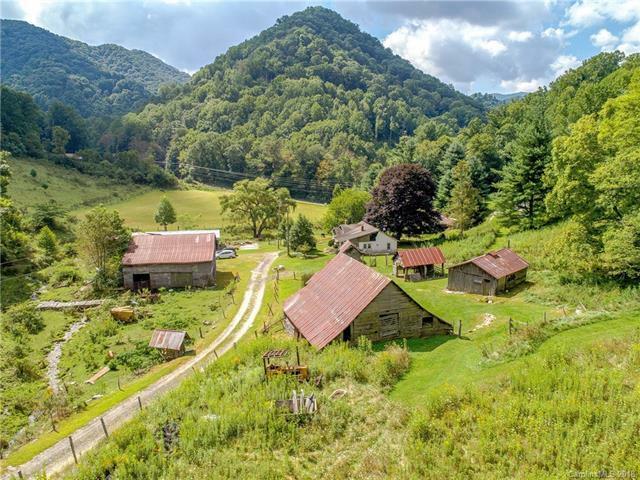 Easy paved access and high visibility along NC Hwy 63 offers excellent potential for personal or business use as working farm, events space, cabin rentals, group retreat, hobby farm, conservation land, or any combination. No limits to the potential for your vision! 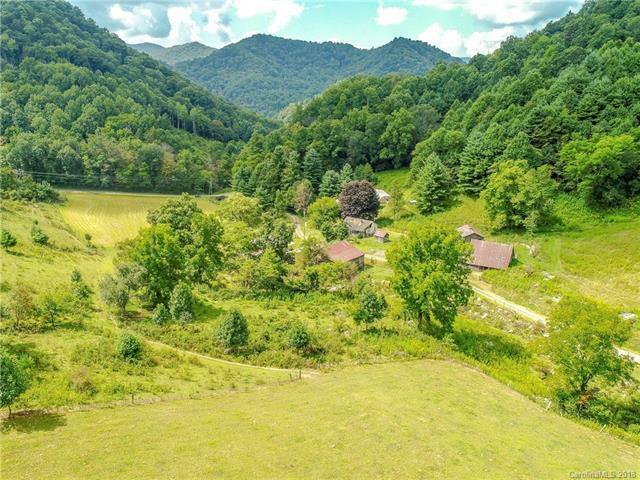 Rarely will one find this amount of improvements and desirable features for an authentic Appalachian mountain farm at such an affordable price.